ABA's artists fly onto the stage, thrilling audiences of all ages! The ABA Troupe has over 26 years of experience performing for diverse audiences of all ages. Our performances feature Capoeira and Maculelê. 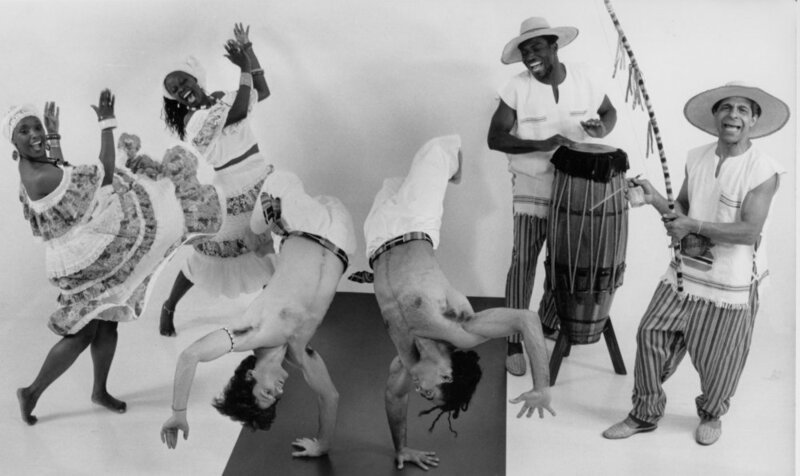 Capoeira is an acrobatic self-defense and dance developed by Africans brought to Brazil as slaves over 400 years ago. Maculelê is a warrior stick dance from the sugar cane fields of Colonial Brazil. All dancing, music, and songs are live. ABA's artists emphasize the importance of FDR- focus, discipline, respect and community - working together to achieve greatness. The show is a vibrant, festive expression of dance, soul, and culture appropriate for people of all ages.